Teenager Michael Oher is surviving on his own, virtually homeless, when he is spotted on the street by Leigh Anne Tuohy. Learning that the young man is one of her daughter's classmates, Leigh Anne insists that Michael -- wearing shorts and a t-shirt in the dead of winter -- come out of the cold. Without a moment's hesitation, she invites him to stay at the Tuohy home for the night. What starts out as a gesture of kindness turns into something more as Michael becomes part of the Tuohy family despite the differences in their backgrounds. And, as the family helps Michael fulfill his potential, both on and off the football field, Michael's presence in the Tuohys' lives leads them to some insightful self-discoveries of their own. 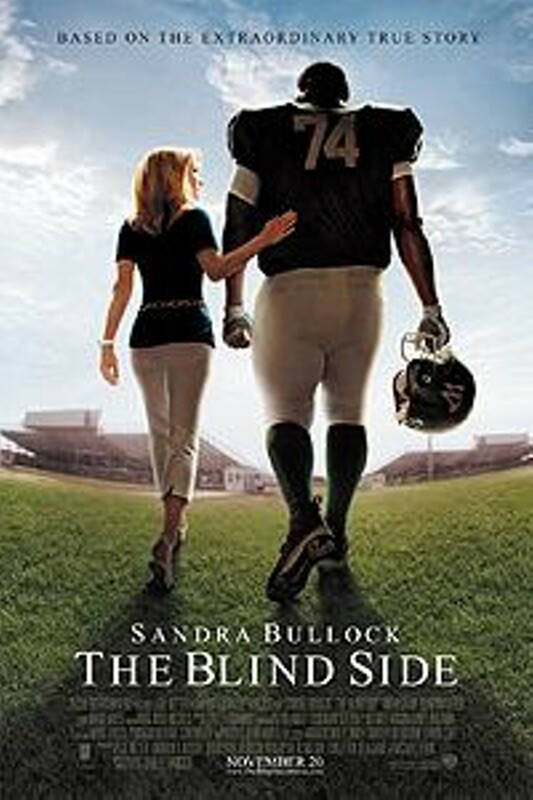 The Blind Side is not showing in any theaters in the area.